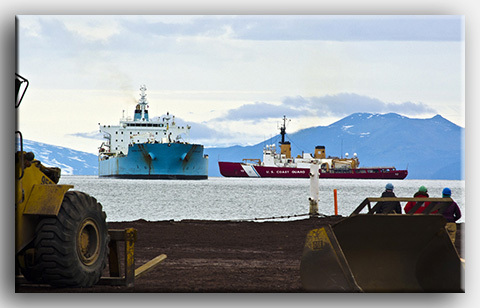 Each year an ice-strengthened tanker delivers approximately 19,000,000 liters (5,000,000 gallons) of fuel to McMurdo Station. It is operated under contract to the Military Sealift Command. AN8, a special fuel blend used in the Arctic and Antarctic, has a low flash point which lowers the point at which wax crystals form when exposed to exteme cold. Mogas, an unleaded motor fuel with additives, is used by the military. 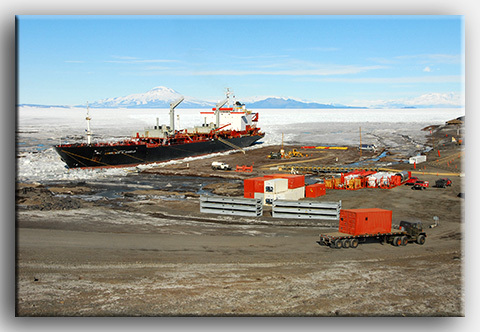 JP5, another special fuel blend, is used in the U.S. Coast Guard icebreaker.